From April 2 to 6, to commemorate Holy Week, I invite you to pause in your busy lives to reflect on the passion of Christ. 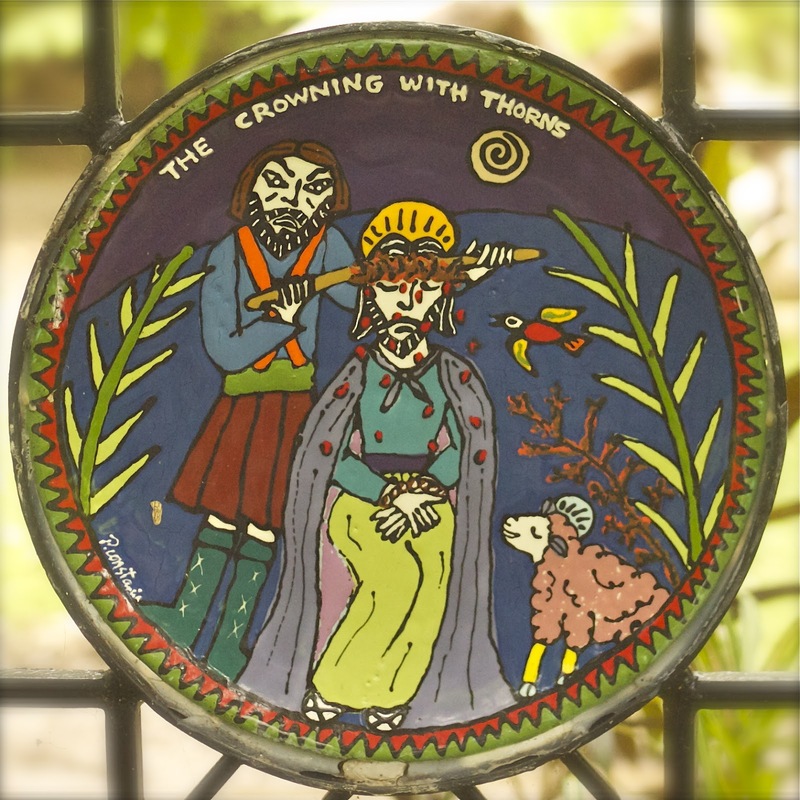 I share with you a series of ceramic work that I created on the five sorrowful mysteries of the rosary. The images are accompanied by mini-meditations from Regnum Christi, an organization born in the heart of the Church, whose mission is to bring Christ’s redemptive message to every heart. You will also find inspirational quotes from Henri J. Nouwen, a Dutch priest, author, respected professor and beloved pastor who wrote over 40 books on the spiritual life. Matthew 27:29-30. Weaving a crown of thorns they fixed it on his head, and placed a reed in His right hand. To make fun of Him they knelt before Him saying: “Hail, King of the Jews.” They spat on Him, and took the reed and kept striking Him on the head. Mockery is an attack on the dignity of another person, and Jesus suffered it in silent solidarity with all of those who have borne it throughout all of time. In this case, the mockery was joined with torture suffered in a hidden place where no one except his tormentors could find him. In our times, too, there are thousands, perhaps millions of people, who live hidden away in captivity – in jails, in slavery, in war zones, in places of torture, or even in homes – and whose cries for help go unheard by the rest of the world. They find themselves completely at the mercy of their captors, who attack them in soul and body with mockery and torture. Why does man do this to man? What is it inside him that drives him to pour out such hatred and venom on a defenseless victim? It is like an accumulation of evil inside, and evil flourishes where love is lacking. Then, all too often, the tortured and abused become the next generation of torturers. But Jesus puts the vicious cycle to an end: he takes the worst, most hideous and demonic acts of aggression and extinguishes the evil in his merciful heart. He becomes a fountain of healing for both the tortured and the torturers. Let us pray especially for people who suffer abuse, and also for those who inflict it on them. * The Mysteries of the Rosary series was created at the Fire Escape in Calgary. Many thanks to Jacqui & JD Esler and Kellee for their wonderful technical support while I was working on the mysteries at the studio. 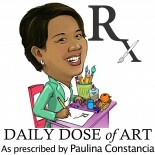 This entry was posted on April 3, 2012 by Paulina Constancia in Uncategorized.